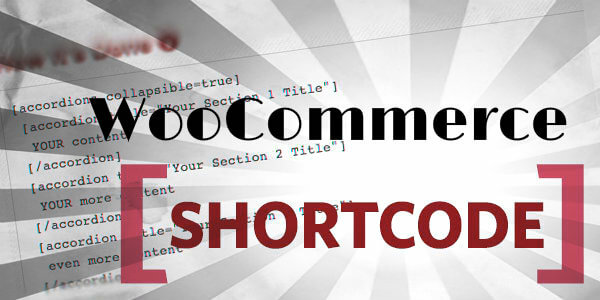 If you want to make your woocommerce shop multilingual, you can create one woocommerce installation for each language (maintenance heavy and other complications – not recommended) or create languages using a plugin (easier solution). Among the plugins available to make woocommerce multilanguage, we recommend using WPML due to superior features. If you own a WooCommerce store and you are thinking about international expansion, the first thing that comes to mind is the need to make your WooCommerce multilingual. Translating WordPress (and WooCommerce in particular) can be confusing for many people. This is because WordPress was originally conceived as a blogging tool, not a complete CMS to manage your online business. Thanks to the amazing WordPress community, it is now possible and relatively easy to translate WooCommerce in other languages. In this article I cover the best options available. One option to add another language is to simply add a new WordPress with Woocommerce installation to your website. This is possible in a subfolder of your root folder. For example, if you were to add the language Spanish to your default English language, you could create a new folder “es” in your root folder ( ../public_html/es/). This will mean that accessing yoursite.com/es/ would access that new installation, and you have the freedom to set another language and even another currency there. This approach has pros and cons. Some people prefer this approach to make WooCommerce multilingual. I do feel, however, that modern WooCommerce multilingual plugins are a much better option as the cons of managing several installations are a deal-breaker for most WooCommerce store owners. Total flexibility: you can personalise every aspect of the translated site, even add/remove pages, posts or products. Complex to manage content: if you need to make one change to several languages you will have to do so in every installation. After several updates you can easily lose track of what has been updated and where. Difficult to link translations: setting a language switcher menu in the front end where user can select the language of a post or page is complicated and needs to be done manually since these translations are not linked. Maintenance heavy: Each site needs to be updated and tested independently. Complicated reporting: to get overview of sales you will need to pull data from each installation. Inventory sync: Inventory doesn’t sync across installations, trying to accomplish this can significantly complicate the set up. Plugin licenses: if you are using premium plugins that have limited activations, you might encounter issues activating them in each installation. WooCommerce multilingual plugins have become much more advanced in recent months and I think that they are the best choice to make your WooCommerce store multilingual. I have used the two most popular plugins: WPML and Polylang. Let’s review these two popular WooCommerce multilingual plugins in detail. WPML Plugin is the best option to make your WooCommerce Multilingual. WPML is one of the first solutions to make wordpress multilingual, they have been around for longer and they power about 400,000 multilanguage wordpress websites. Once you install WPML, the plugin handles the translated versions of your website. You can translate virtually anything: pages, posts, custom post types, taxonomies, custom fields, menus and every element of your theme, plugins, URLs, all WooCommerce aspects, WordPress admin and website. WPML supports wide range of languages (over 60 built in languages), and is frequently updated by their authors. There are many professional translators working in WPML to translate in different languages, if you want to free yourself from the hassle of manual translation. WPML is a premium plugin so there is a price tag for its use, however the price they charge is worth it as they provide many features that you can’t find with any free multilingual plugin for WooCoomerce. WPML is very easy to use and working with it is far more hassle-free than other plugins. WPML will create a separate post for each language to keep it properly manageable. When you purchase a WPML license, the license is for unlimited sites. It supports all the major WordPress themes such as Elegant Themes, Genesis, etc. WPML allows you to do SEO of all the languages separately so that you can make your site more SEO friendly and it also supports very popular SEO plugins such as WordPress SEO by Yoast. 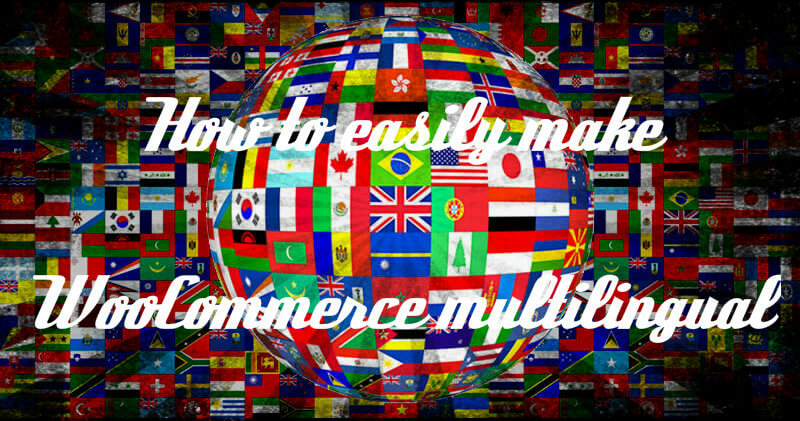 Allows to create multilingual and multi-currency WooCommerce store. Accept different currencies or payment processors per language. WPML provides you extensive documentation so that you can go through it and understand all the requirements and processes to setup your Woocommerce multilingual store. It is not free. It is charged at $79 for the license of 1 year and then renewal of license costs $39. The lifetime license cost $195. Although the WooCommerce multilingual plugin by WPML is listed in wordpress.org free of charge, it needs the paid version of WPML in order to work. Go to posts, and select the post you want to translate, you will see something like below. The file that is uploaded in post as image or any other media is known as attachment, which includes featured images, rich texts, sliders, etc. The translation of attachments are also required, you have to upload attachments that are currently used in posts to each translated language post. This is a very time consuming task which is not preferred by most of the people so WPML provides an addon to make this task simple which will use same attachment and do multiple entries of it in other languages. The addon name is “WPML Media Translation”. Now that you have setup everything in WPML you have to provide users an easy way to switch their languages from their page. This is achieved by using the widget of WPML on sidebar or anywhere you want to show users. This widget will contain all languages that you want to show users to switch from. WPML gives you lot of options to achieve this. Go to settings page of WPML and go to language switcher option. There will be list of all the languages that are active in your plugin. You can link any language to any page from there very easily. If you select the Contact page, language switcher will show you all the different language versions of that page which are available, so you can select easily. For showing the switcher in sidebar you can either add the widget of the WPML provided by plugin or else some of the WordPress themes come with the inbuilt WPML translation option in sidebars. The Polylang plugin lets you convert your WooCommerce store into a multilingual store, thanks to the Polylang WooCommerce integration. 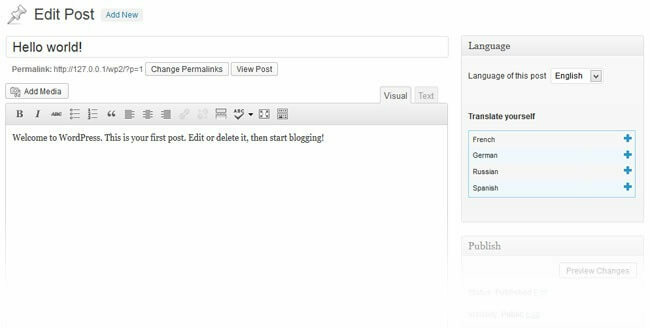 Using this plugin is easy, you have to add content of each language in posts, pages, etc. This will make it easy to add the description of post as per language requirements. In this plugin you will have to manually write description for each language as Polylang does not provide support for any type of professional or automatic translation service. UPDATE: Polylang supports WooCommere translation through third party integration which has been reported buggy with latest version of WooCoommerce, use at your own risk. You can translate pages, media, posts, categories, menus, post tags, widgets, etc. WordPress language packs are automatically downloaded and integrated. Learning to add different languages in each post and page is bit difficult for a non-technical person. Need to translate to all languages manually. STEP 1: Login to admin panel and go to plugins menu from left panel, select Add New option from that menu. Step 2: Search for Polylang plugin and click on install button in front of that name. Step 3: Activate the installed plugin to make it work. Step 4: Click on settings to go to Polylang settings page. Choose the language from dropdown and select the required language. Step 5: Now go to posts or pages where you want to add multiple languages and click on “+” on right sidebar. Step 6: Repeat until you add the whole blog into the selected language and then hit on publish button. Having a multisite setup to manage different translations is not recommended due to the many potential complications. If you want a full translation of your store with less hassle you can use WPML which is a premium plugin but worth of the money considering all the features. However if you are on a budget you can use the free Polylang plugin, though not as feature rich and reported buggy on latest WooCommerce updates, it might get the job done if you are willing to go through the trouble.